Babies who are teething may chew on everything, including their parents. 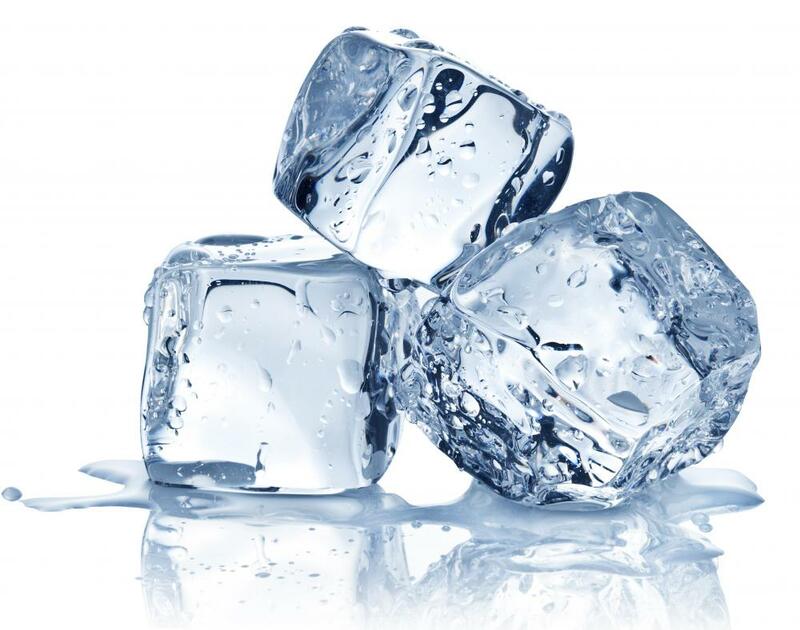 Ice cubes can be wrapped in cloth for babies to chew on. Some babies develop a diaper rash when they begin teething. 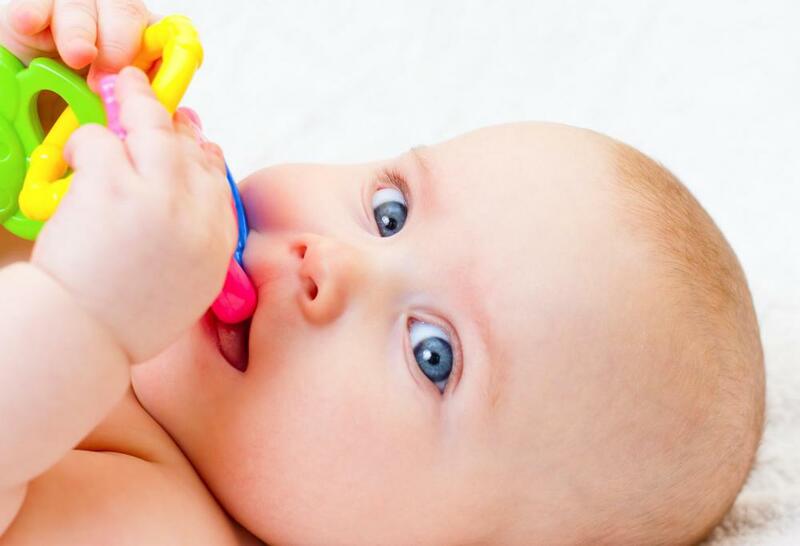 Teething rash might be reduced or eliminated by giving a baby a cool teething ring. A teething rash is one of the symptoms of teething that babies often experience. It can result from excessive drooling, leading to a rash around the chin and general mouth area. Some babies develop diaper rash due to teething, and the rash won’t go away until it’s treated or the teething stops. Alleviating the symptoms of teething can help with rashes, but there are also ways to treat each type of teething rash. There are often telltale signs of teething, and parents can help to alleviate the pain if they can recognize them. To begin with, babies often drool more than usual. They are also often more fussy, especially at meal times when they may refuse to eat at all. Many babies chew on everything they can get into their mouths to try to find relief, and sometimes they bite siblings and parents in the process. The gums swell, and it’s often easy to see the teeth underneath. When teething occurs, a rash may develop on the baby’s skin. One form of teething rash is a drooling rash. As the name implies, the rash is a result of drooling around the mouth area. It can also extend to the neck and chest area. A drooling rash consists of red bumps that are raised on the skin. The simplest way to treat drooling rash is to keep the baby’s face, neck, and chest dry. Treating the teething itself is another way to help reduce or eliminate teething rash. 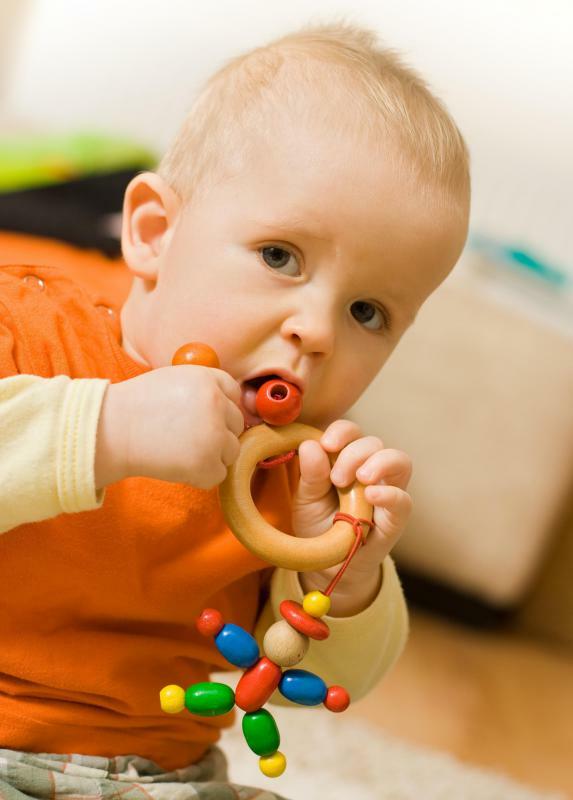 Cool teething rings and chewy tubes can often provide relief to a teething baby. Some parents wrap ice cubes in cloth for their babies to chew on or rub against their gums, which helps with the pain and swelling. Parents often rub the gums with their fingers to help their babies with the itching that accompanies teething. In more severe cases, infant’s ibuprofen can be used to reduce pain relief. Some babies react to teething by developing diaper rash or having existing rashes flare up. Teething rash that shows up as diaper rash consists of red raised bumps on the baby’s buttocks. There are several creams and ointments available to treat diaper rash that must be applied often until the rash clears. Some parents have found success just letting their babies go without a diaper for an hour or so to calm the rash down, and when the baby is wearing a diaper, parents work hard to change him or her as soon as it’s wet. There are also all-natural balms with aloe vera to help heal diaper rash that don’t contain the chemicals found in some commercial creams.